At Kingsmead we know shoes are more than just something you wear. The right shoe can support you in getting the most out of your day. That's why we stock a functional and wide range of Brand name shoes at affordable prices. With 25 stores nationwide, we're committed to providing you with the Brands you want to be seen in, like Skechers, CAT, Levis, Soviet, iPanema, Hush Puppies and MORE, all at the prices you deserve! Each of our stores has been designed with versatility in mind, suitable for both mainstream shopping centres and lifestyle centres alike. 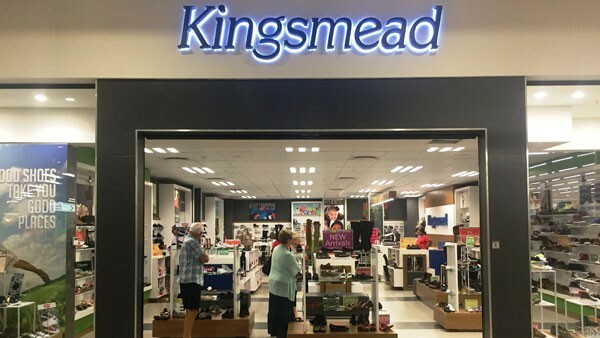 Kingsmead Shoes' stores cater to both customers that like to browse on their own, as well as customers requiring that extra assistance from our helpful and friendly sales staff.